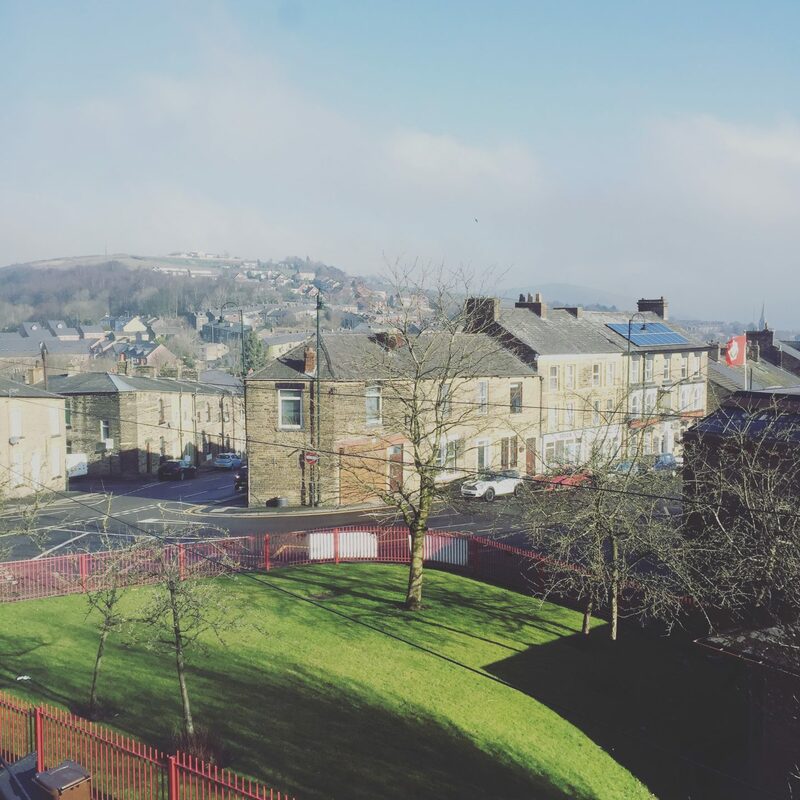 The project we are currently working on is set over three floors. 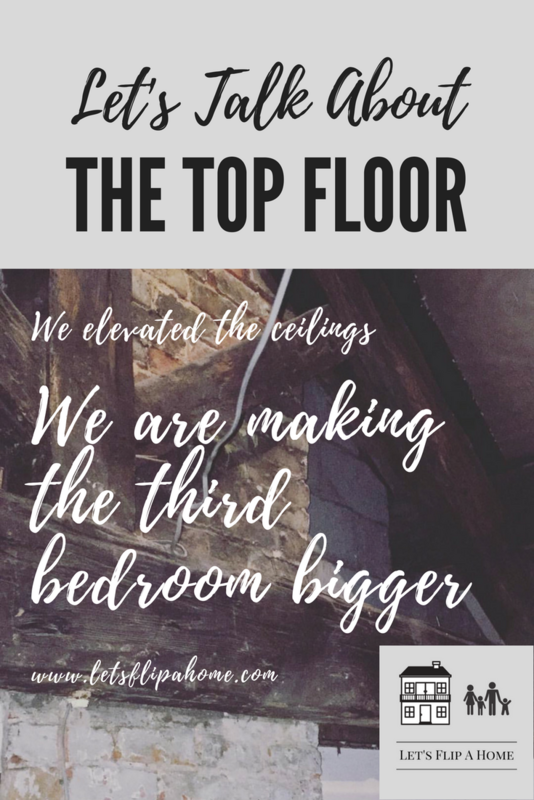 We have taken most of the rooms back to the bare walls, we decided to place some focus at the top of the cottage and work our way down. 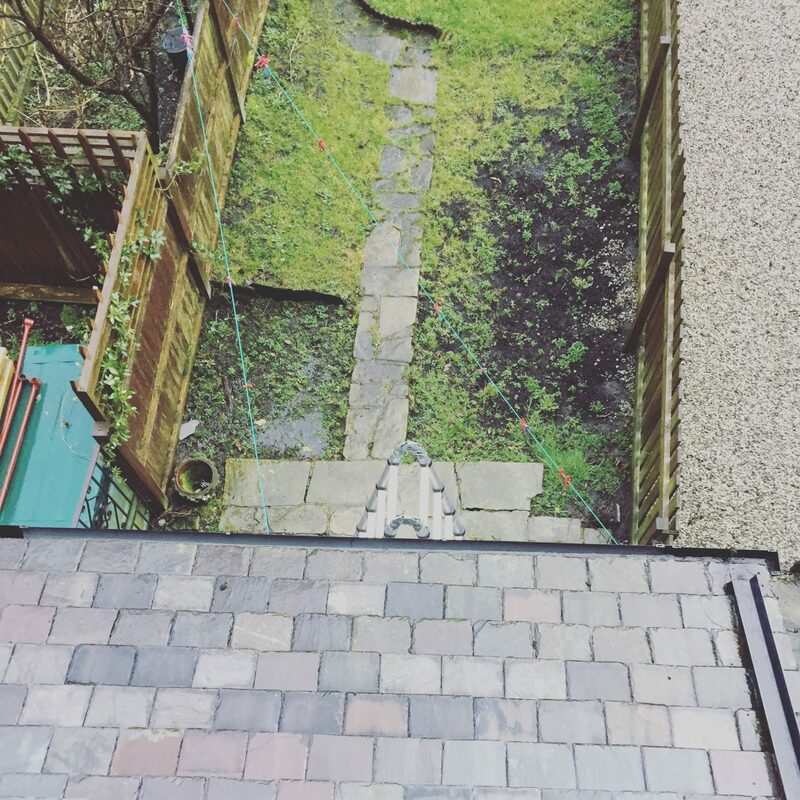 Before we started work on this house, the top floor was split into two bedrooms. A large second bedroom that was classed as a comfortable double, and a very small third bedroom. Which would even make some of the standard box rooms you find in modern houses feel large. 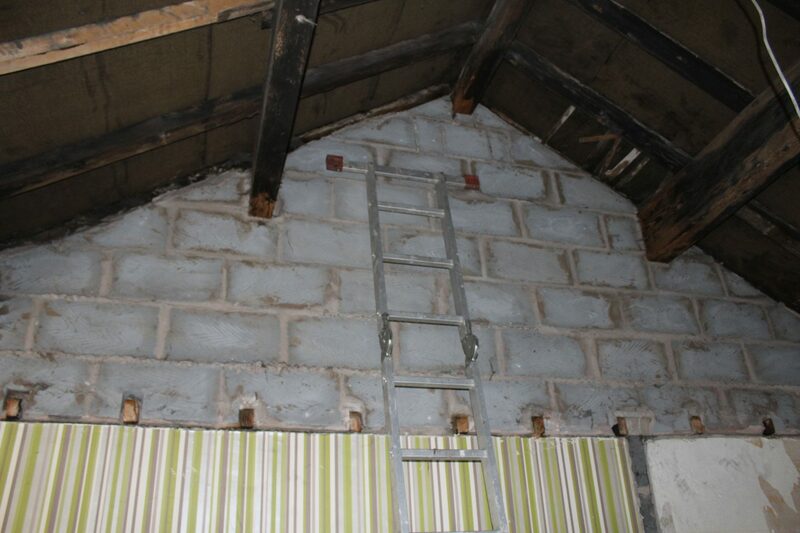 We wanted to make this cottage a comfortable three bedroomed home. That meant tweaking the floor plan ever so slightly on the top floor. 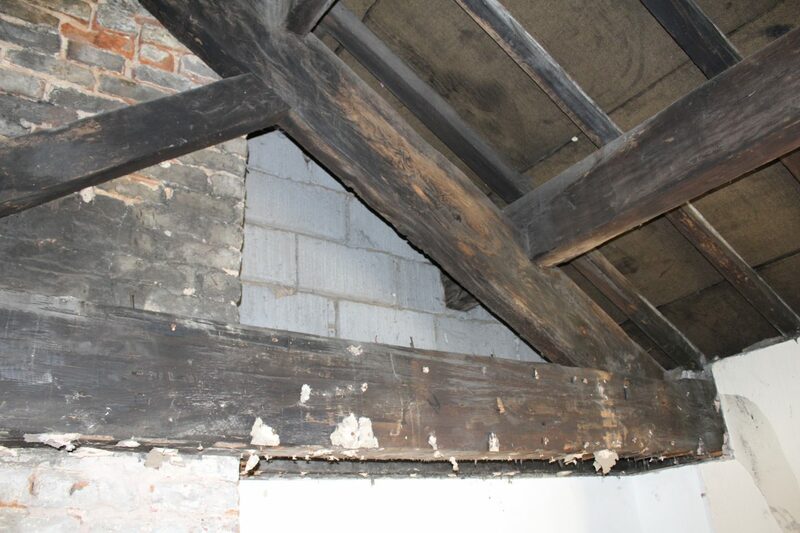 The decision had already been made to get rid of the ceiling to expose the beautiful beams that were hidden in the loft space. We gain a huge advantage of height in doing that. So we just needed to move the middle wall to create a larger floor space in the third bedroom. The line you see is where the wall use to be. 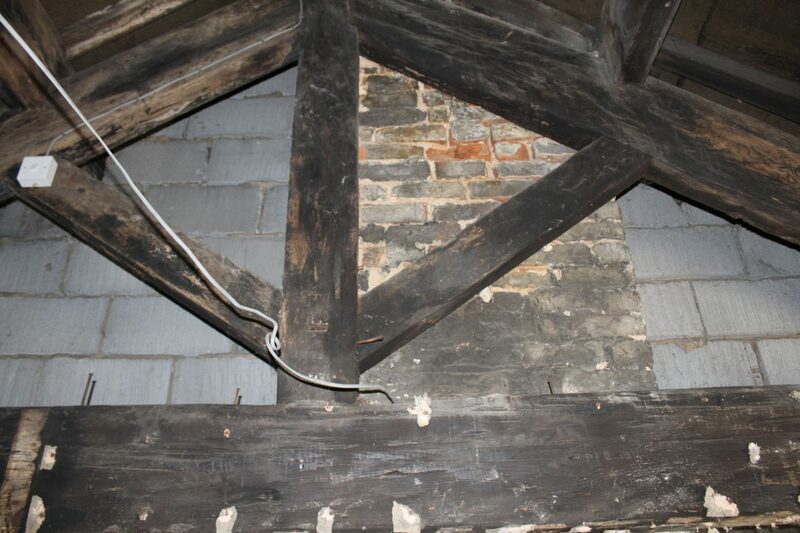 The beams and elevated ceiling, in their raw state. 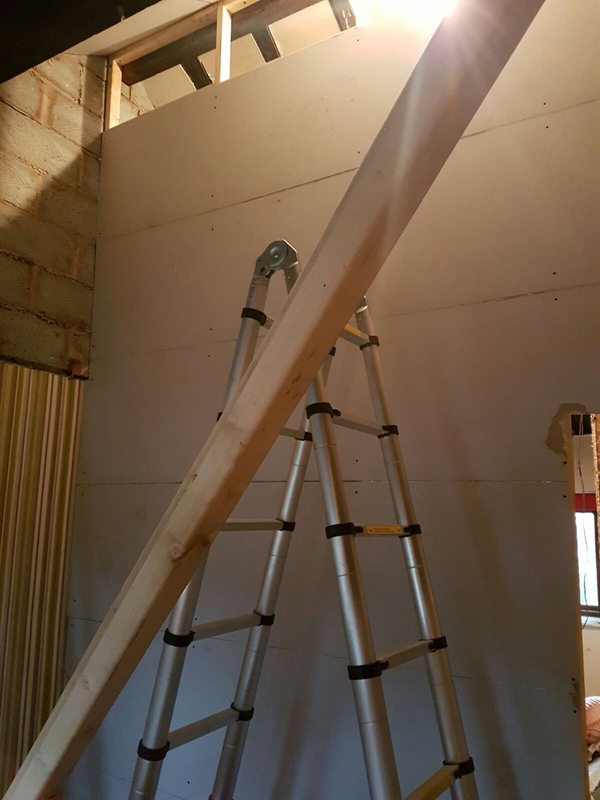 We have since insulated and fitted some plaster board. The new wall starts at the top of the apex. At the moment we have focused more on the top floor. 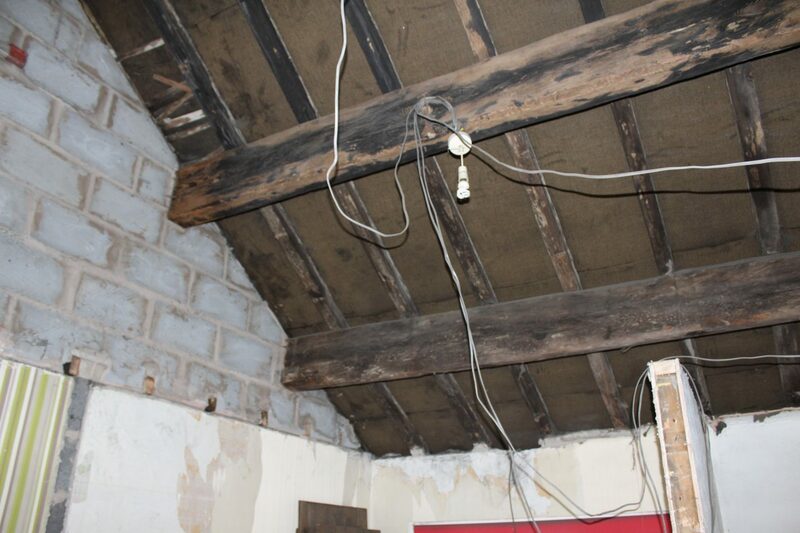 The ceiling has gone and the insulation is mostly installed. 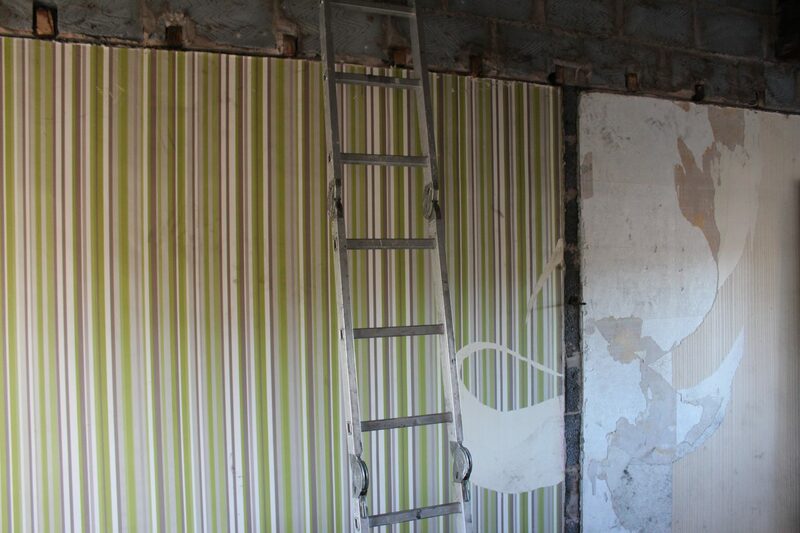 The plasterboard has started to be fitted and the wall is built and just needs finishing. 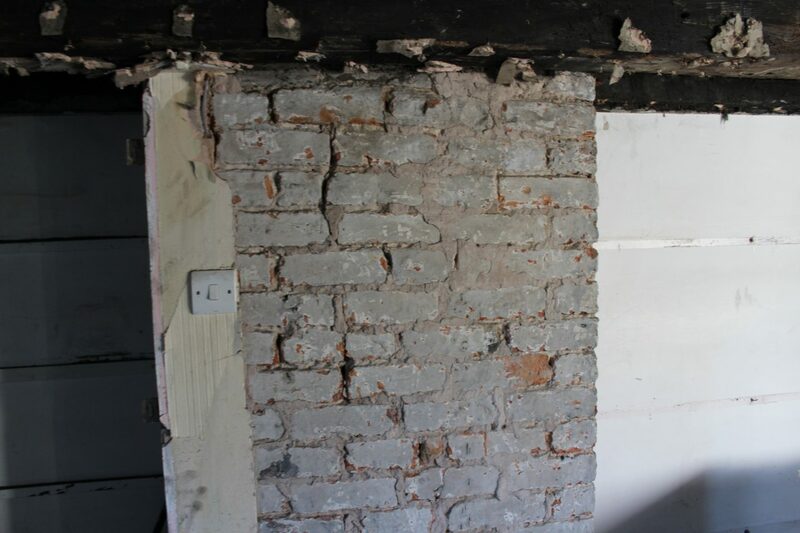 I decided that the brickwork should be exposed on the chimney breast and I certainly think it will make a lovely feature to the second bedroom. Right now we just need to finish the wall and then put in the two new door frames. We are keeping the original doors as they add character. A lot of our time has been focused on finishing these two bedrooms so that we are ready for plaster. 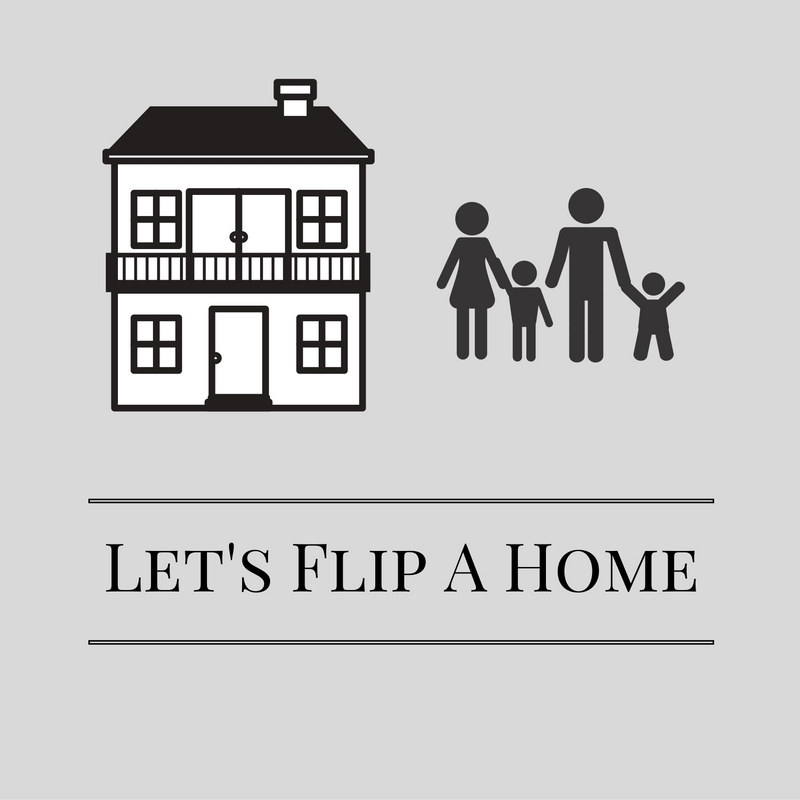 We’ll then be moving down to the middle floor where the focus will be on the master bedroom and bathroom. 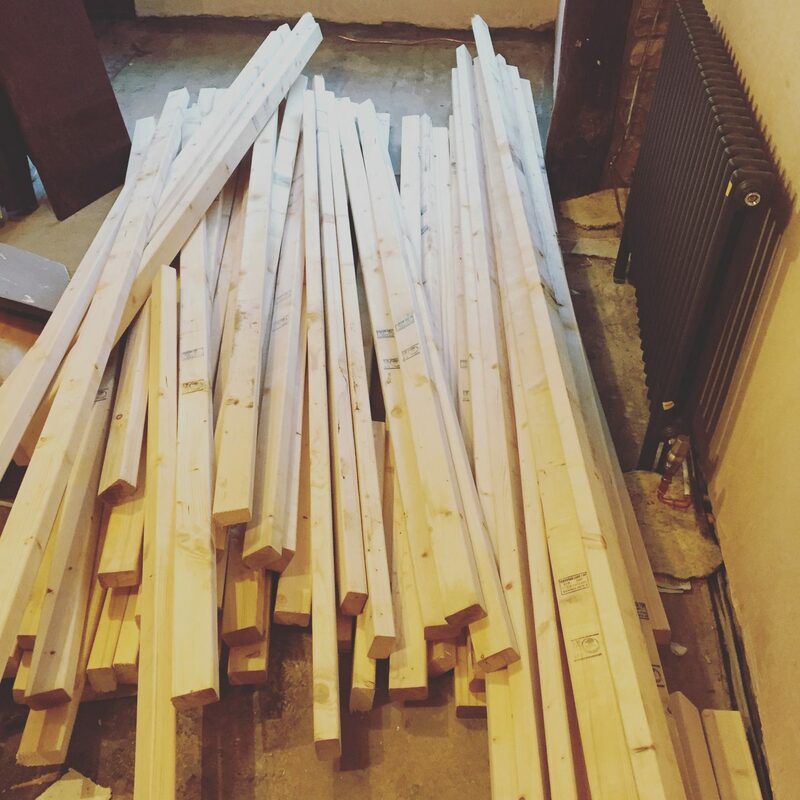 Making the third bedroom that little bit bigger will make it a more versatile space for a family. Allowing that third bedroom to include a single bed comfortably or even a bunk or raised bed space for added storage. We haven’t lost too much off the second bedroom and it will still be a double room. Plus the views from this floor are simply stunning at the front and the back. Whoever sleeps in these two bedrooms are lucky. 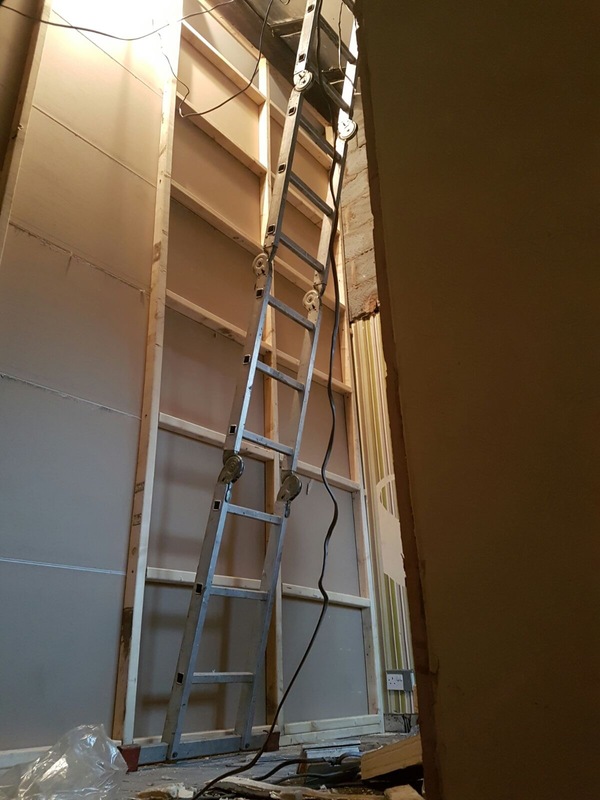 The new wall did mean that all of this wood needed to get to the top floor, and with a small and narrow staircase to contend with, there was no chance it was going up the stairs. It involved me at the window on the top floor and my husband passing me wood from this ladder, in the middle of a storm. But we got it all up there. Hopefully I will have another update on the top floor very soon.